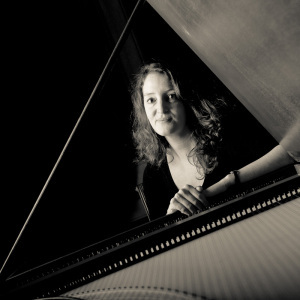 Anne Marie Dragosits studied under Wolfgang Glüxam at the University of Music and Performing Arts in Vienna and with Ton Koopman and Tini Mathot at the Royal Conservatory in the Hague. She performs throughout Europe as a soloist and continuo player and plays regularly with the chamber music groups L’Arcadia, Vivante, Les Sentimens, Musica Alchemica and the Munich Baroque Soloists, or with orchestras such as Barucco (Vienna), L’Orfeo Baroque Orchestra, Capella Leopoldina (Graz) or the Camerata Salzburg. In May 2005 she, together with the ensemble Vivante won the first prize in the J.H.Schmelzer Competition at the International Baroque Festival Stift Melk (Austria) and has since performed in many prominent festivals such as Resonanzen (Vienna), the Flanders festival (Bruges), the Munich Residenzwoche, Rheinvokal (Germany) and Itineraire Baroque (France). Anne Marie Dragosits can be heard on numerous recordings including her first solo cd where she performs Italian seventeenth century harpsichord music, played on an original harpsichord by Giusti, dating from 1681 from the German National Museum.